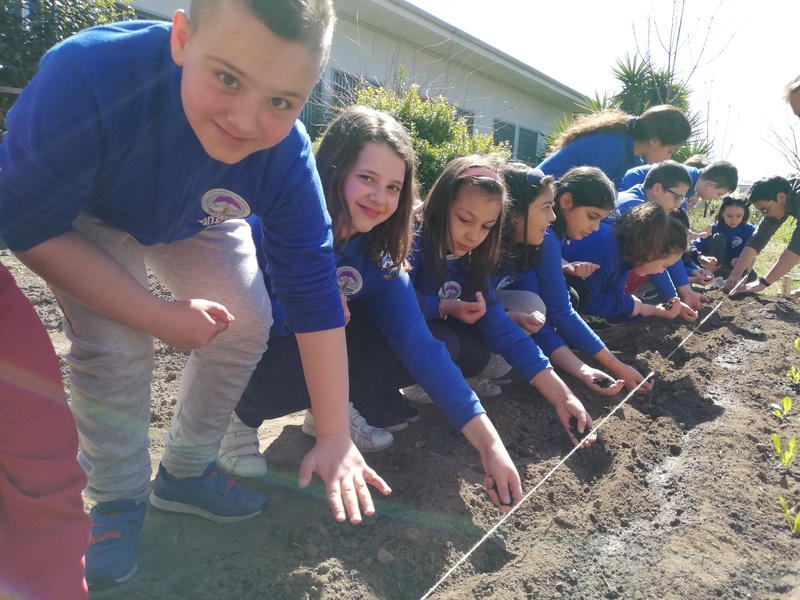 School classes planted their first vegetables in their school gardens around Mount Etna, opening the second phase of the EUKI project ‘Frutti per la Biosfera’. The campaign sensitises pupils to the link between healthy nutrition and climate protection. The ‘Frutti per la Biosfera’ (Fruits for the Biosphere) project in Sicily entered its second phase in mid-February 2019. Children between the ages of six and ten prepared small cultivation beds on the school grounds and planted their own vegetables. During the first phase of the project, project staff and volunteers informed the children about the association between their eating habits and the climate, introducing them to terms like ‘regional’, ‘seasonal’ and ‘biological’. The pupils got to know ancient Sicilian cereals and how they can easily trace the origin of eggs. Thanks to the practical part of the project, the children should learn to act in a sustainable manner and to actively support climate protection themselves. The schoolchildren first cleaned the school grounds together with volunteers from different European countries and prepared them for planting. They then sowed various local vegetable seeds and small seedlings of plants like spinach and onions. Various insect houses were introduced at the same time and installed on site to attract pollinators for the flowering plants. The activities not only aims to encourage a healthy diet, but also to show pupils how to easily grow regional and seasonal vegetables in their own gardens, contributing to climate protection at the same time. 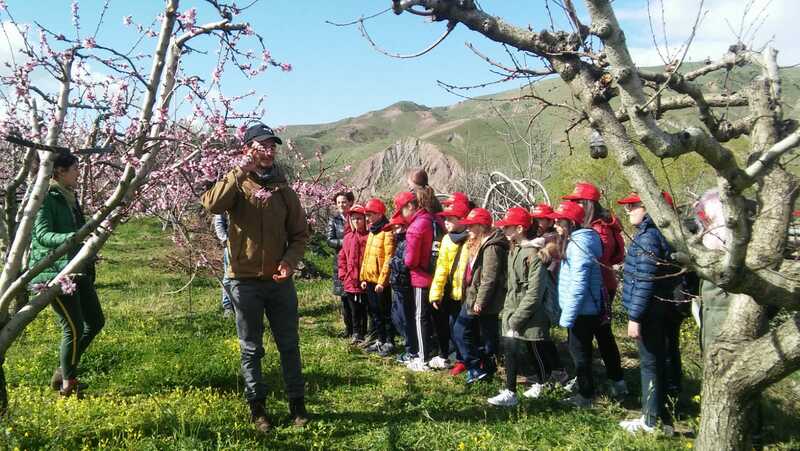 The children gain an insight into organic farming and learn why the choice of regional products and zero-kilometre products is enormously important in combating climate change. Schools with no gardens of their own are offered the opportunity to visit a nearby farm. The project is located in the area of the planned biosphere reserve ‘Terre della Biosfera – le Valli fluviali dell’Etna’. This reserve should contribute to improving the future protection and unique nature of Sicily, the largest Mediterranean island. ‘Frutti per la Biosfera’ is carried out jointly by the Italian organisation Giacche Verdi Bronte and the German Manfred Hermsen Stiftung (Foundation). The two organisations are supported by the funding of the European Climate Initiative (EUKI) and the commitment of many volunteers from all over Europe.